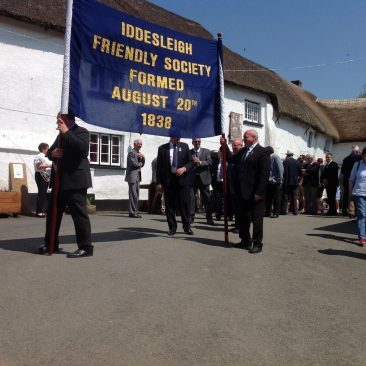 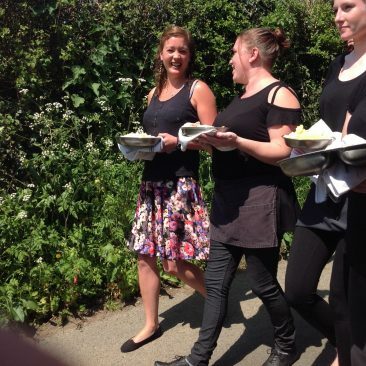 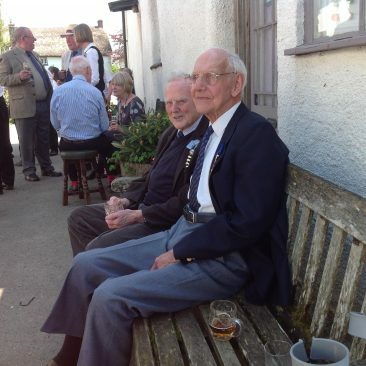 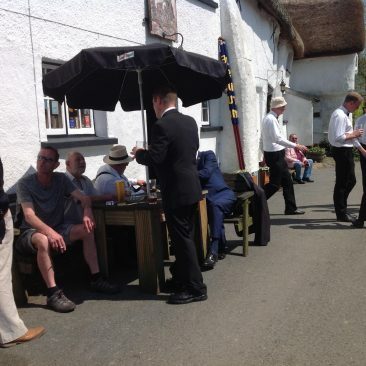 The weather dawned bright and hot on a fabulous Early May Bank Holiday for the Iddesleigh Friendly Society Service. There was Lar Cudmore who has been a member for 73 years and Les Curtis who is catching him up with 60 years membership! 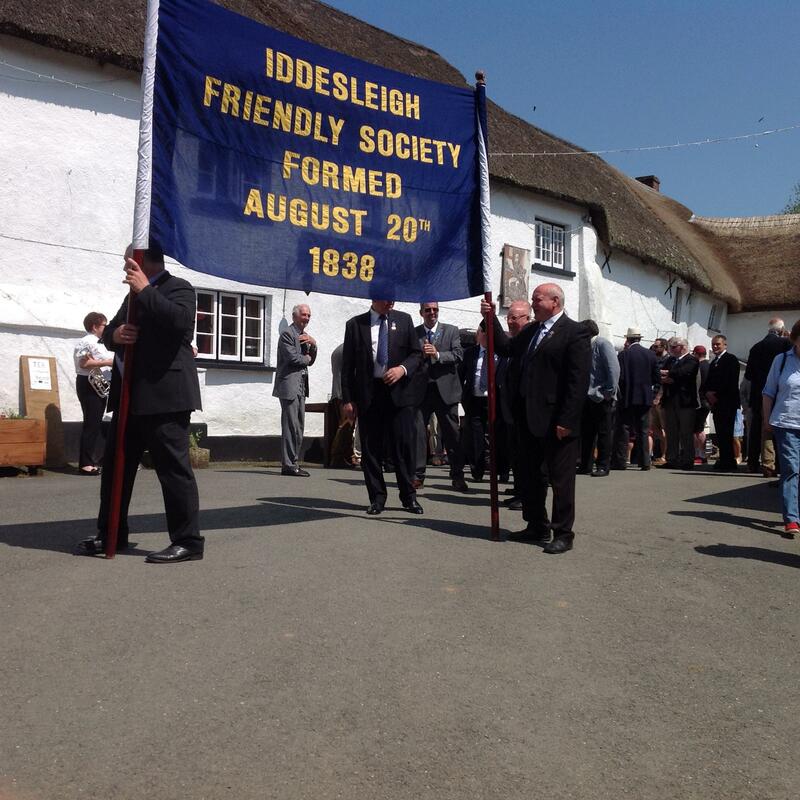 Stepping back into 180 years of history. 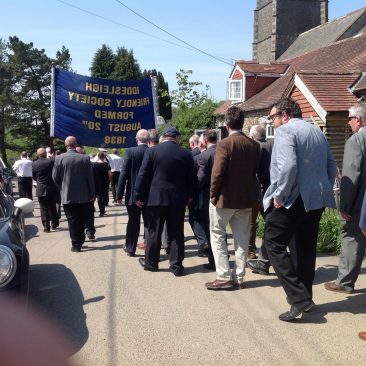 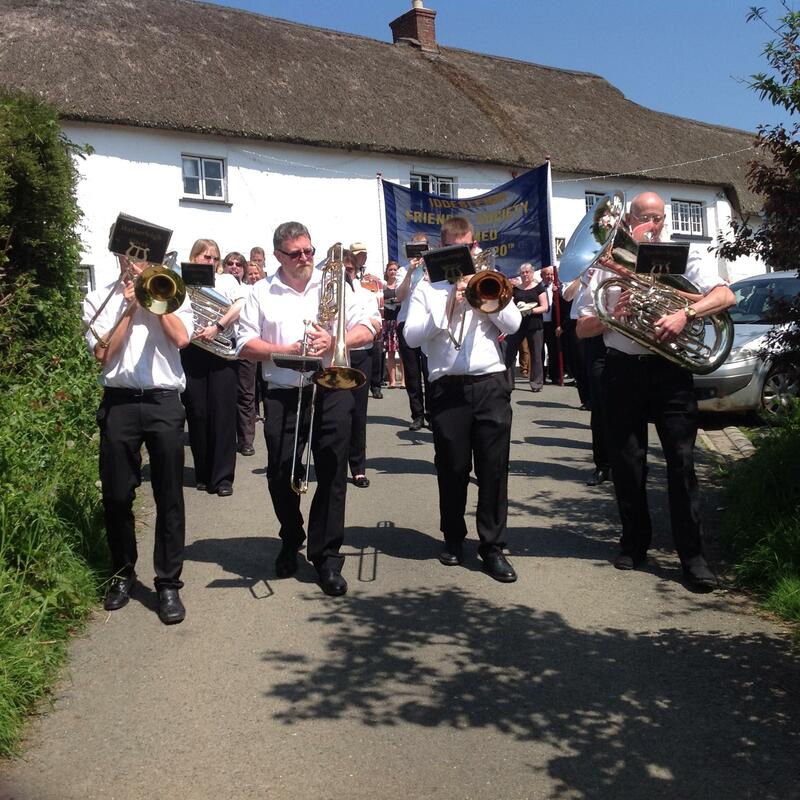 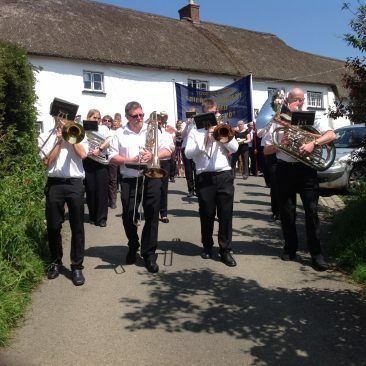 The Hatherleigh Silver Band led the procession to the church and village hall. 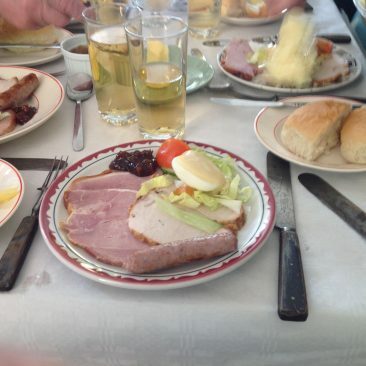 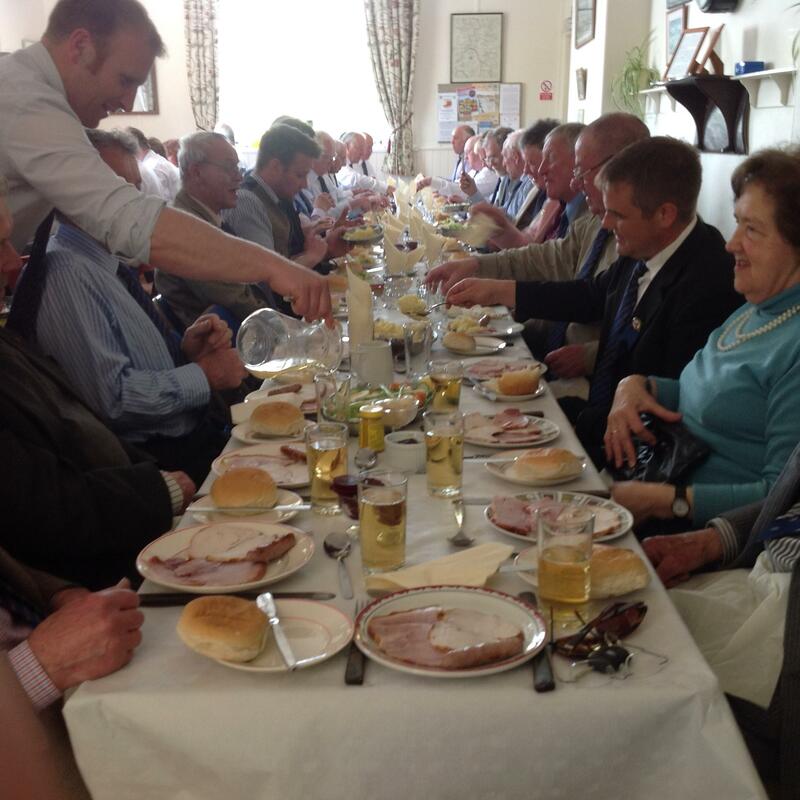 The all-important mashed potato was carried in procession to the hall and there were lashings of Devon cider accompany a wonderful meal of cold meats. Revd. 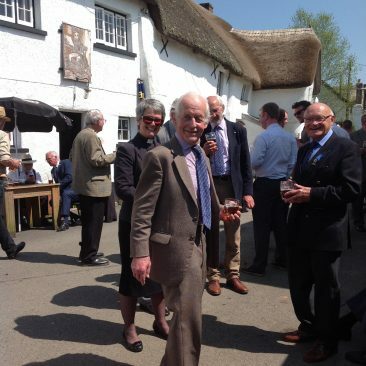 Susan Oldham and Peter Banbury, Churchwarden of St James’, Iddesleigh, gathered with the members.